Originaire de l’Abitibi et de Montréal, nous avons établi nos pénates à Toronto en 1987. Après y avoir vécu pendant 25 ans, nous étions prêt pour un nouveau défi donc nous avons accepté un transfert à Paris en mai 2012. Pendant 2 ans et demi, nous avons sillonné la France et l’Europe pour découvrir de nouveaux endroits et de nouvelles cultures avec en prime une immersion dans la culture française. Une expérience très enrichissante que nous avons adoré. Nous sommes revenus nous installer à Montréal en janvier 2015. Écrire un blogue était une nouveauté pour nous mais nous voulions documenter nos aventures, nos observations et nos voyages pour en garder le souvenir à notre retour au Canada. Maintenant que nous sommes de retour à Montréal, une ville où nous n’avons pas vécu depuis presque 30 ans, il nous semble intéressant de poursuivre l’aventure du blogue et de continuer à partager nos photos. 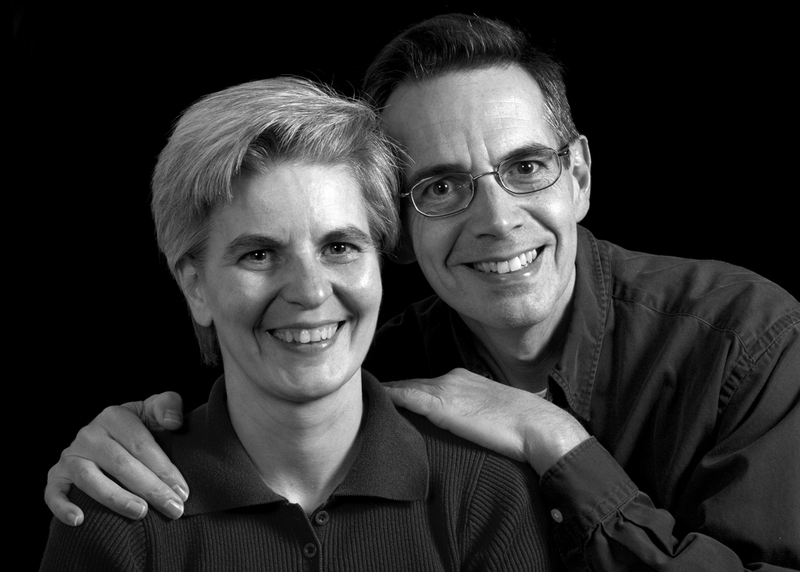 Originally from Abitibi and Montreal, we moved to Toronto in 1987. After 25 years of living in Toronto, we were ready for a new challenge so we accepted a transfer to Paris in May 2012. For 2 1/2 years, we travelled throughout France and Europe to discover new places and new cultures while immersing ourselves in the French culture. A wonderful experience that we simply loved. We came back to settle in Montreal in January 2015. Blogging was new to us but we wanted to document our adventures, our observations and trips to keep as a souvenir upon our return to Canada. Now that we are back in Montreal, a city which we had left almost 30 years ago, it seems interesting to continue to share our pictures on this blog. Have fun in Paris, Tournesol and Tintin :). Wow, this is truly a voice from the past. I hope you are well and thanks for your good wishes on our stay in Paris. We are adapting very well after 2 months here and enjoying ourselves so far. Take care. Bonjour Suzanne et Pierre! I decided that your hard work and double-language posting deserved some recognition. Please come over to collect your prize (http://leculentrelesdeuxchaises.wordpress.com/2012/08/29/shock-and-awe/). My name is Ana O’Reilly and I’m a contributing editor with http://PocketCultures.com I enjoyed reading your blog and would like to ask your permission to review it for our site. I think it’s a good fit. Hi Ana: Thanks for your interest in our blog. You have our permission to review it on your site. Thanks Ana. You did a nice write-up on our blog. Thanks for noticing it and for reviewing it. Excellent Blog.. Great choice I have been visiting France every spring/summer for the past 20 yrs.. I must have the Paris ghost in me.. Will have to share a bottle sometime.. Thanks Richard. Glad to hear you are enjoying the blog. Thank you for following my blog! I do appreciate it. My pleasure. I like your photos and I will be interested in seeing what is coming. My pleasure. You have some great photos on your blog! Pas de souci…vous avez de belles photos et nous espérons visiter la Norvège bientôt donc vos photos vont nous faire un peu rêver en attendant! Something about wanting to visit Norway I beleive? Yes, we have Norway on our list of countries to visit while we are in Paris so your photos will give us something to dream about. HI, I nominated you for Very Inspiring Blogger award here http://praguebykaty.wordpress.com/2013/03/22/praguebykaty100/, beacuse I think your blog is really stunning. I know you already noticed my nomination, I just didn’t have time to inform you till now :-). Don’t worry Katy about being late letting me know…it is fine. It is great to learn that you are enjoying our blog. It is very much appreciated. Thanks. I am glad to hear you are enjoying our blog. I quite like photography and I thought you had some nice pictures. Good luck with the move, hope it is all you hope and more!! I always enjoy meeting other people with a passion for travelling! Thanks for following my journey. Will be on the lookout for your next post about this adventure you are on! Thanks Janaline. We are indeed very much enjoying our new adventures and we absolutely love living in Paris. We are getting close to the one year mark and we are still very much happy with our decisions. Thanks for being interested in our journey and we do have a passion for experiencing and attempting to understand other cultures. You’re welcome!! Looking forward to following your journey!! Hi, thanks for the like on my blog! That’s an impressive list of countries you’ve visited! Your blog has also brightened up my day as I found I could understand the French and didn’t need to read the English part! 🙂 Linda. Thanks Linda: I am glad to hear we made your day by being able to read the French version. As you can see we enjoy travelling and we are actively working on adding to the list while we are living in Paris. Well, you certainly picked a great base! Paris is so beautiful and plenty to do there between trips! Thanks Linda for this nomination. That is very nice of you and we are flattered. Thanks. Glad you enjoyed our various posts. Sympa ! bienvenue à Paris ! Merci pour ce gentil mot de bienvenue. Nous venons de célébrer notre premier anniversaire à Paris et il nous reste un an à notre contrat. Nous adorons notre séjour et en profitons pour voyager partout en Europe et au Moyen-Orient. Thanks Jennifer: I discovered your blog through the MontgomeryFest one and thought it was interesting. I am glad you have found ours of interest as well. Thanks Harold for following. I indeed hope you enjoy the journey with us! Salut! Thank you for visiting my blog and for the follow, I look forward to exploring your blog as well. ps: I’m currently trying to learn some French although my vocabulary is in a complete mess! but I’ll anyhow attempt to read some of your French post:). Meanwhile I hope you will enjoy my blog. A bientot Suzanne et Pierre. Merci. I hope you continue to enjoy our blog and have a good time practising your French. I’m just checking out your blog too – love he dual language usage too. Great blog, I love all the cultural tidbits! Je veux ameliorer mon francais et votre blog m’inspire à lire plus en francais. Merci! Thanks Tanya. Glad to hear that you are enjoying our blog and that it will help you with your French!!! Bonne lecture! Hello Suzanne and Pierre, Thank you for following my photography blog, Jane’s Lens. I hope you are inspired. We have been living in Sydney and traveling in Australia for three months and hope to do continue in different parts of the world. Your photographs are wonderful and I will enjoy seeing more. Thanks Jane. I quite liked your pictures as well and looking forward to seeing more of Australia through your lens. We are half-way through a 3 years stay in Paris and we travel extensively throughout Europe so you can expect to see pictures from Paris and many other places around Europe. I hope you continue to enjoy our photography. Thanks, Suzanne. We have two more weeks, but I have many images and themes I am working on. Glad we connected. Thank you for the follow! I’m excited to read all of your posts. I’ve been trying to read the French text so the English below it is nice too. Thanks Graham for your nomination. We are truly honoured though a while ago we decided not to accept these awards. We have nothing against them but we don’t have the time or the energy to participate fully. Sorry! No problem. They can be a bit exhausting. The important thing is that you know how valued your posts are. Keep up the good work! Merci pour votre note. Nous aimons beaucoup nous promener avec nos caméras pour observer les détails des endroits où nous habitons ou visitons. Donc, beaucoup plus de photos à venir sur Montréal car nous y sommes maintenant installés. Impressive number of countries you have visited! My heritage is French-Canadian (great grandparents) so it was fun to visit your bi-lingual blog. Your photos are great! Thanks Eliza. We do like to travel and were able to add lots of countries to our list while we lived in Paris. I am glad you are both enjoying our bilingual blog and our pictures. Thank you for becoming my 200th follower. And I see that Slovenia, my original country, is still waiting among your visited countries. I just returned from the capital Ljubljana and it’s truly beautiful. I suggest it in the spring. 🙂 Wishing you much joy on my pages. Bonjour Suzanne! I was wondering if you had any advice on a small, compact digital camera that would be better than an iPhone but not too technically advanced? I am looking to buy one for work and blogging purposes. Any thoughts or suggestions would be welcome! Bonjour Mel. You are asking a very difficult question as it really depends of what you want to do and how you want to do it. There are lots of different models on the market and I believe that the compact market is actually dwindling because most people are now using their phone to take pictures instead of buying a camera. Camera companies are mostly focusing on the SLR market and trying to offer features that aren’t possible on phone cameras. One option to add flexibility to your iPhone is to buy a lens that you can attach to your camera. When we start looking at buying new equipment, we often use a site called DP Review and here is a link to recommendations on compact cameras in various categories which might help you decide what you want to buy. I hope this is helpful but don’t hesitate to send me a message if you want to discuss further. Thanks for your note. I am glad to hear you are enjoying our photo blog. so pleased to have found your blog, Suzanne and Pierre! Thanks Ann. Glad to hear you enjoyed our blog and photos. Hi Suzan and Pierre. I’m really happy to have stumbled upon your blog, not only because of those great photos you took from your travels, but also the fact that this is a bilingual blog. I used to be able to strike some conversations in French which was very useful during my short trip to Paris and Brussels back in 2007. However, I use the language a lot less extensively since then, therefore I feel like I should begin somewhere to brush up my French. Your blog can be a good start! Keep traveling, keep writing, and keep inspiring! For sure I will. I just read your post on Teotihuacan, a place I have always wanted to visit. I can’t wait to explore more of your past travel stories and photos. And I think I only spent 2 1/2 days in Paris during my month-long trip to Europe to attend a cousin’s wedding.